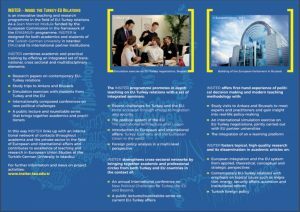 INSITER – “Inside the Turkey-EU Relations” – is an innovative teaching and research programme in the field of Turkey-EU relations. As a Jean Monnet Module funded by the European Commission in the framework of the ERASMUS+ programme, INSITER is designed for both academics and students of the Turkish-German University of Istanbul (TAU) and its international partner institutions. 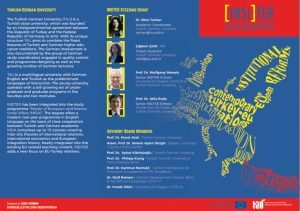 In this way INSITER links up with an international network of contacts throughout academia and the private sector in the field of European and international affairs and contributes to excellence of teaching and research in European Union Studies at the Turkish-German University, Istanbul.